Registrations are now being taken for all swimmers from the age of 3 years old upwards for our Learn To Swim program. If you are joining Learn to Swim for the first time, placement in our program is usually subject to a FREE 10 minute assessment (no obligation) to determine your swimmers correct level. All H2O programs place great emphasis on drills, skills, technical proficiency, stroke development and improvement. Children are assessed throughout the term & promoted if space permits; otherwise they are formally assessed over the last 3 weeks of every term. All swimmers are given one FREE coloured Swim Cap that identifies their level and a new colour cap when promoted to a new level. Online Progress Reports are available for parents to download for each swimmer at the end of each term. All teachers are Trained and Qualified and complete further in-house H2O professional training each term. Our Learn To Swim class sizes are strictly controlled from 3 to 6 swimmers depending on the level. Two Makeup lessons are allowed per swimmer per term, subject to availability and only if an Advance Absence has been recorded before 12:00 midnight which frees your space for others to use as a Makeup. Absences and Makeups can only be booked using the online H2O MY SWIM ACCOUNT. Makeups are a courtesy and not guaranteed, can not be refunded or carried over to next term or to another program. Family discounts are available for 3 or more students enrolled in the same term. We go to significant efforts to try and accommodate families at the same time, but please understand that may not always be possible. After we have enrolled you in a class, you will receive an invoice that you can pay online using MY SWIM ACCOUNT. Enrolment spaces are only confirmed after payment in full has been made BEFORE the start of each term. Entry to the Learn to Swim program is always subject to availability. Please tell us about your Swimmers and their Standards below. NOTE: These are a rough guide only and not indicative of their final assessed H2O level. I have read & completed where relevant the Medical Information section & agree to H2O Swimming Works T&Cs as displayed on the H2O website. I further also give my permission for my swimmer/s photo/s (surnames will never be used) to be displayed at the pool or on the H2O website for promotional purposes only. The Centre is unfenced and unpatrolled for the purpose of structured programs only. There are no opportunities for ‘free play’. Learn To Swim participants are to be accompanied by a designated adult. No glass or food may be brought into the Centre (including Change Rooms, Exercise Room & General Purpose Classroom). Plastic water bottles are accepted. All signage and staff instructions are to be obeyed at all times. Due to the nature of the Centre’s rubber concourse, no high heel shoes may be worn as these can damage the floor. Walking only within the Centre, please do not run. Swimming caps must be worn at all times while in the pools. No students are permitted within the Centre unless directly supervised by a staff member or parent/guardian. All students must vacate the Centre no later than 15 minutes after the conclusion of their class. Students may only enter the water once instructed by their teacher and must vacate the water immediately upon conclusion of their class. Strictly no diving into the pool unless instructed by staff. Three loud whistle blasts signal a major emergency. All pool users must vacate the pool immediately and follow the instruction of staff. The use of electronic recording (including on mobile phones) is prohibited in the Centre unless authorised by the Aquatic Centre Manager. Parents may not enter the change room of the opposite gender. Student use of the Exercise Room and general purpose classroom is under teacher instruction only. By registering you are accepting the terms & conditions of the Swimming Program within The Marigold Southey Sports & Aquatic Centre. You hereby acknowledge that you have read, understood & agree to abide by all of the policies & procedures documented by St Catherine's School and listed within this registration form. You declare that you (for Adult Swimming participants) or your child have no personal or medical conditions that will impact on your safety, your child’s safety, or the safety of other Centre users or staff whilst participating in Programs at the Sport & Aquatic Centre. You accept that all medical conditions of Learn to Swim participants must be lodged within the School CareMonkey system for current St Catherine’s School students, or in writing to the Learn to Swim Coordinator for St Catherine’s School community swimmers (e.g. 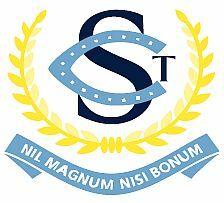 Adult Swimmers, siblings of current students and/or children of former St Catherine's families) for successful completion of this registration.